We are entering the 66th edition of Blogging Marathon and this week theme is going to be fruits that are vegetables. Some of the veggies we use in our regular everyday cooking are fruits.Veggies such as tomato,avacoda,corn,peas,eggplant,capsicum are technically fruits but those are considered as veggies. 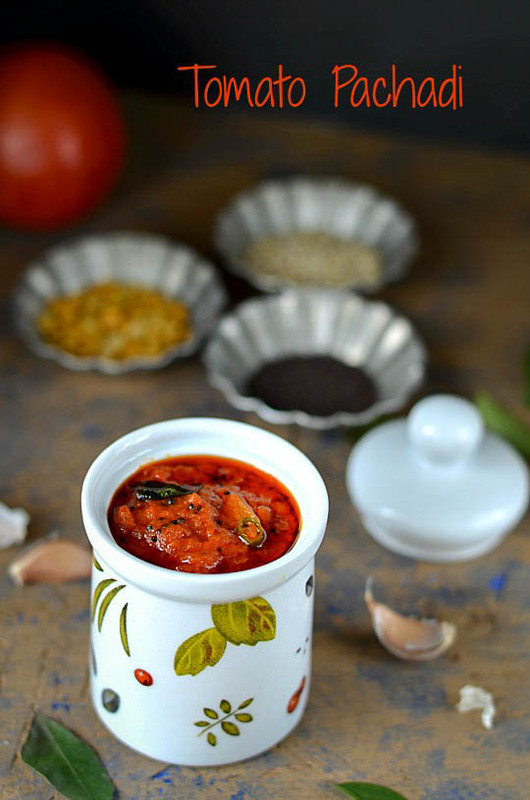 Heat a pan with 1-2 tbs of oil and add in the chopped tomato.Saute it well for 2-3 minutes.Now add in the red chilly powder,turmeric powder and salt.Cook it uncovered if you want the chutney to be chunky.Otherwise cook it partially covered for 3-4 minutes in a medium flame. Now in a separate pan add the remaining oil and do the tempering with the given ingredients,Add the chopped green chilly and garlic to it .Fry it for a minute. 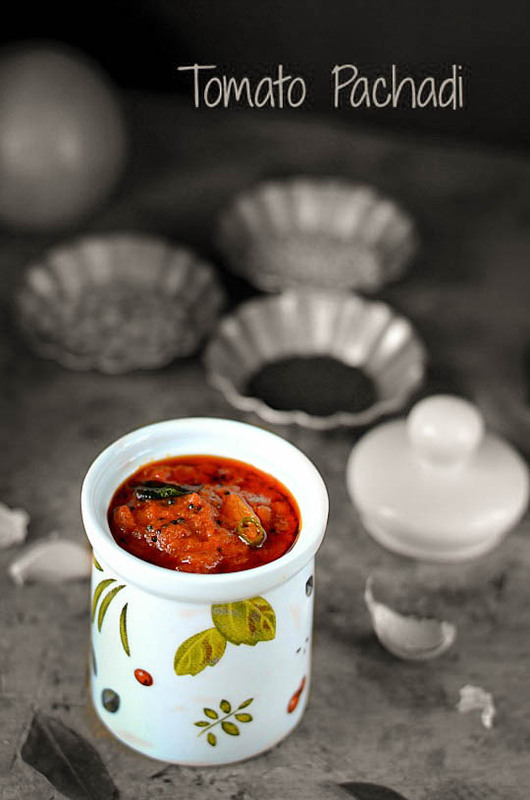 Pour the tempering to the tomato mixture and cook it till the oil separates.After cooling store in a container and keep refrigerated. 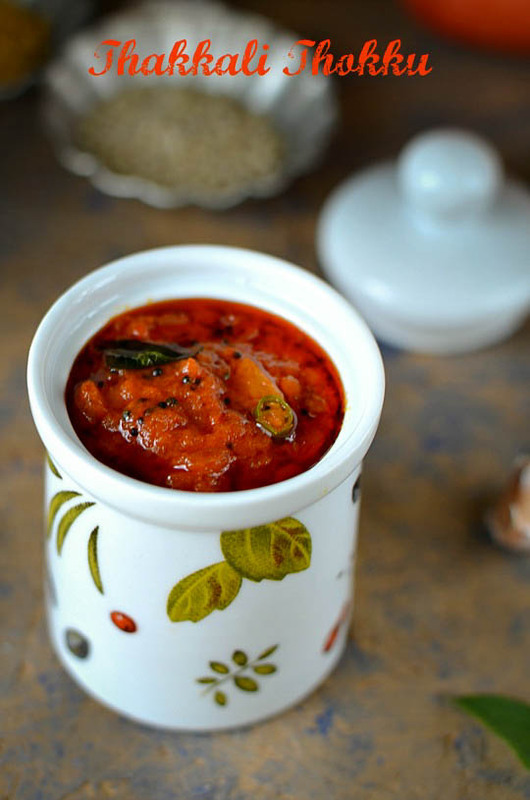 Serve it with idly,dosa and roti. If the tomato has more of juice and seeds discard some of it. Adjust the chilly powder according to personal preference. 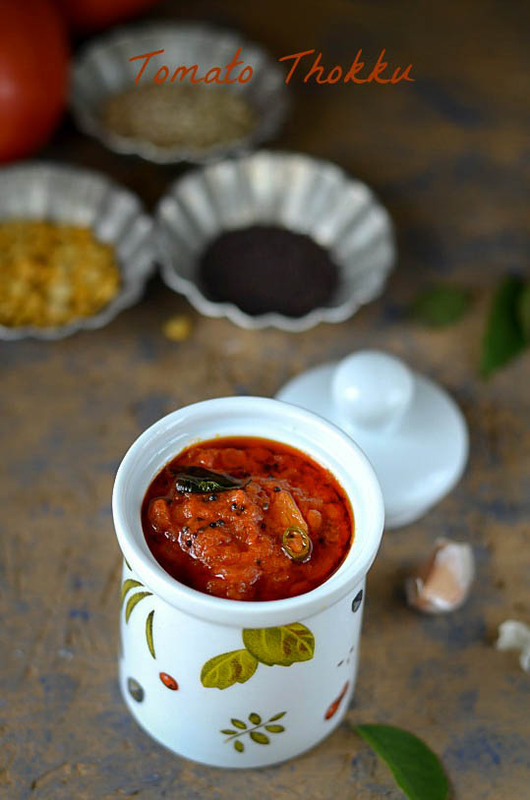 I am drooling over this chutney..love the way the oil is floating up with that sole green chilly and little polka dotted mustard seeds show up..amazing..looks so pretty too. Omg, this thokku is torturing me, wat a irresistible and catchy colour. 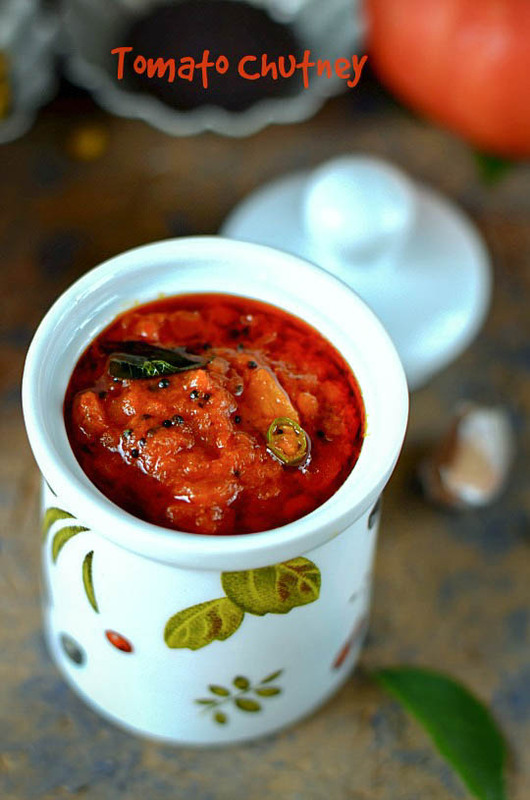 What a delicious looking tomato chutney Nalini. It looks so vibrant and inviting. The pictures speak volumes about how wonderful the chutney would have tasted. Fabulous! Oh my! I can have this thokku with absolutely anything. All I need is a bowl of curd rice now.